When you're building a car from scratch, there are a couple of tasks best left to professionals. 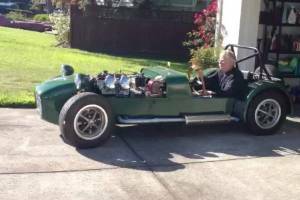 For example, you probably don't want to cast your own engine block, or construct your own tires using sheets of rubber and basic hand tools. A similar job would be getting your propshaft shortened. 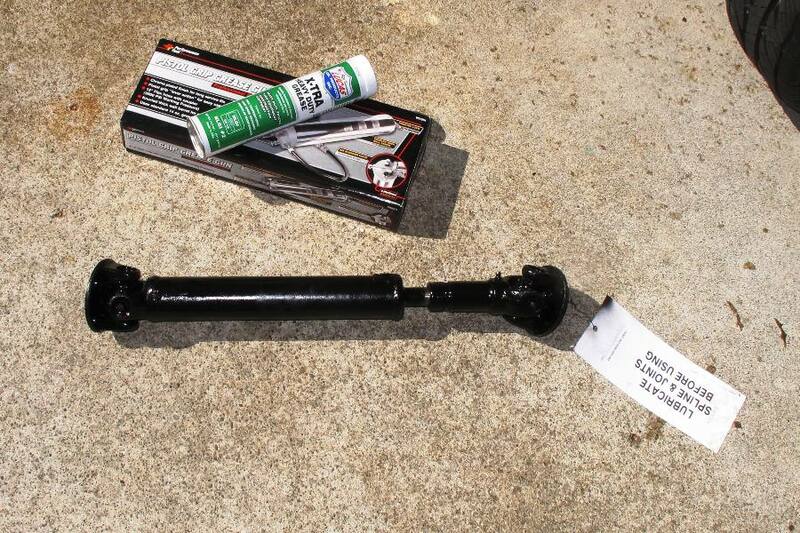 You can do it, but it might not be perfect, or balanced, and a failed propshaft can have some pretty exciting consequences. So we left ours to the professionals at Sacramento Driveline Service, a well-respected machine shop on the outskirts of our state capitol. We were a little concerned going into the shop that we'd have to explain exactly what we wanted, why we wanted it, and why we didn't think building a car from scratch was a stupid idea. But the guy behind the counter didn't ask any of that. We handed over the propshaft and told the guy we wanted it 20" long, fully compressed, and he just smiled and asked when we needed it. Three days later we picked up the rebuilt propshaft, now considerably shorter and lighter, and sporting brand new Spicer U-joints. We went with a 20" propshaft after a fortuitous post on LocostUSA from our friend and Kinetic Vehicles proprietor Jack McCornack. The actual distance between the flanges on the differential and transmission in our Locost is 20-15/16", and for a long time we had it in our heads that the shaft would never be shorter than that, because the axle moving up and down would move the differential flange farther from the transmission by some small amount, thereby stretching the propshaft. So we figured a 20-3/4" propshaft would be plenty short enough. But as Jack pointed out in his post, that's not what actually happens. The differential actually gets closer to the transmission as it moves up and down, because the axle is not moving up and down in a straight line, but in an arc defined by the relatively short trailing links. Jack calculated that a 2" bump would shorten the driveshaft about 1/4", with the rate of shortening increasing as the bumps got larger. So if we had gone with a 20-3/4" propshaft, the first big bump we hit would've locked it up. The Locost book says something similar to this. 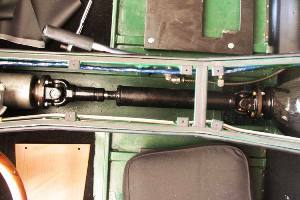 It talks about shortening the propshaft to the midpoint of its range. 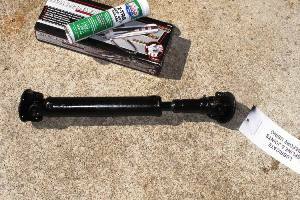 But it doesn't explain why, and they're using a totally different propshaft with a giant 4" range of extension. Our range is only about 1-3/4", which means we have less margin for error. So of course you wouldn't expect us to go by the book on this matter. Or at least I wouldn't. The good news is, we were lucky enough to have someone else figure it out for us before we got into trouble. The better news is, we no longer have to push the Locost in and out of the garage. We can still do it if we want to, but the car actually moves under its own power, which is pretty exciting even if that power is only what you get from slipping the clutch in first gear. Or reverse. We haven't left the property yet so of course we're not counting this as our first drive, but you're certainly welcome to if you want. In any case it bodes well for the day we finally install the springs and shocks and get to roll the car out into the street. We only got a brief sample of what the car will be like to drive for real, but we learned a few things, all of them good. First of all, the clutch works perfectly. Second, the car jumps off the line effortlessly. Steering is very light even at parking speeds, and the brakes work well. Even better, nothing squeaked, rattled, or clunked, and nothing fell off or even came loose despite our infinite spring rates. The car felt extremely solid, and it wasn't just the lack of springs. The ride was actually pretty decent on our perfectly smooth driveway. With the propshaft installed we were able to bolt down the console covers for the last time ever, or at least until our new Spicer U-joints wear out. 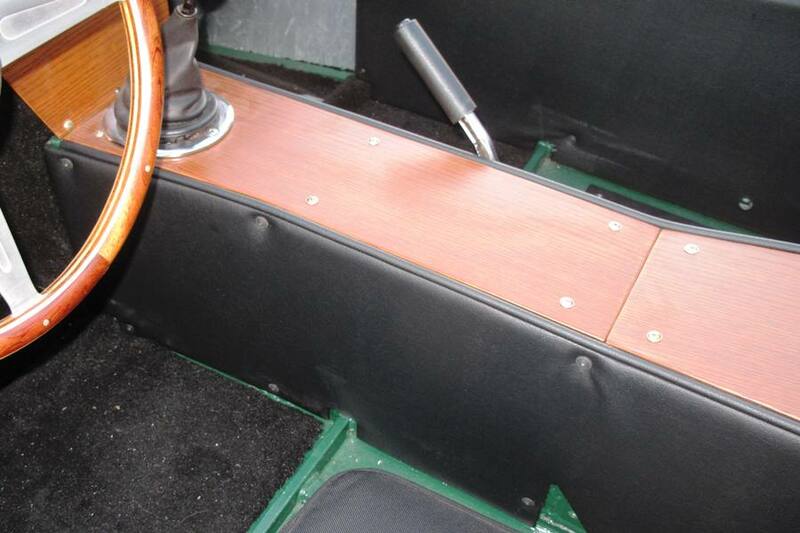 We had some left-over fender piping that we sandwiched between the console covers and the transmission tunnel, thereby hiding the unsightly bare green metal edges of the tunnel frame. 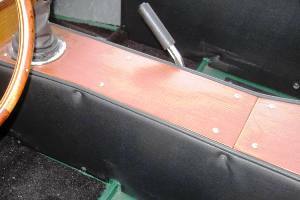 We also installed the gearshift knob for the last time ever, using a genuine M.G. gearshift locknut from Moss Motors, which we got for the bargain price of just a buck forty. 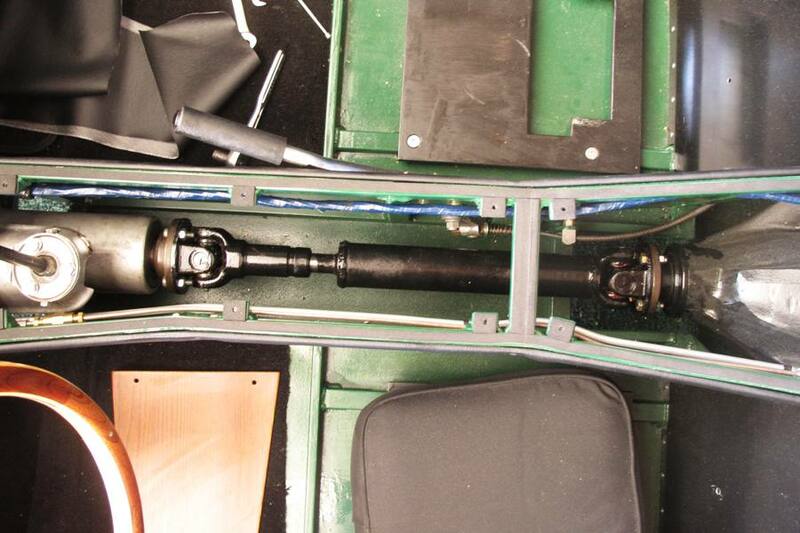 So the propshaft makes it one task down, four to go, in our quest to get the Locost registered and on the road. Admittedly it was an easy task, but the shocks won't be very hard to install, and maybe the windshield won't be so bad either. The big challenges are going to be the front fenders and seats, not only because they both have to fit well, but because they also have to look good. We're thinking that between the two, fenders will be easier because it's the sort of stuff we've done before. The seats, not so much. How they turn out is anybody's guess.